This journey of Spirituality’s self-discipline is not an easy journey. You can’t walk it alone. You need a support of a community. 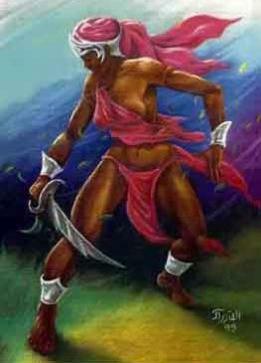 You need the guidance and support of the Orisha. One of my many lessons is to step out on faith. To be diligent in my work of creating and moving forward on opportunities knowing Spirit will manifest what is best. There are days when Oya winds of change, winds of cooling and winds of boldness & courage work through me. These next few days stepping out on faith, without stressing and maintaining focus on the tasks at hand, while listening to Divine Guidance.